There are a couple of streets in Seattle that are untouched by time, where the buildings maintain most of their original character. As soon you walk down these street everything gets a bit more peaceful. Your mind wanders to who lived in these buildings many years ago. And which lucky citizens live here now. The Betsy Ross is nestled on one of these picturesque tree-lined streets. Once you step inside you'll discover the sophisticated details of this charming home. The Betsy Ross is a majestic building on 17th Ave tucked between Capitol Hill and the Central District. Rarely, does anything come on the market in the building. And to top it off our sellers have some of the most sophisticated design sense that has transformed this modest condo into a posh European style home. It is all about the details. All of the little nooks, crannies, built-ins, and coves that make this home one of the most sophisticated finds of the year. This small but mighty amazing kitchen has been updated within keeping with the original character. The part that makes our heart glow is the perfect little kitchen eating nook overlooking the private patio. Not to mention the transformed ironing board hiding spot – now the keeper of fabulous stemware and Moscow Mule mugs. 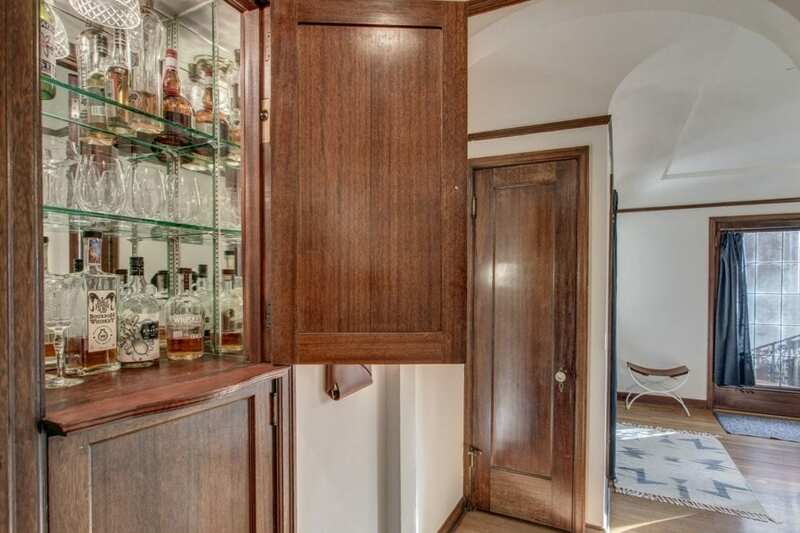 Imagine how wonderful your fancy stemware or vintage collectibles will look displayed in this swanky kitchen. Genius! Everyone needs a spot to stash your after work adult beverages. And what better place than one of the original built-ins. Perfect for those long days trudging in the tech worker mines. Come home and crack open a 30-year scotch and let your mind wander. How many times have you walked into a condo and have the first thing you notice be the giant TV? It’s hard to design around a 60 inch TV screen. 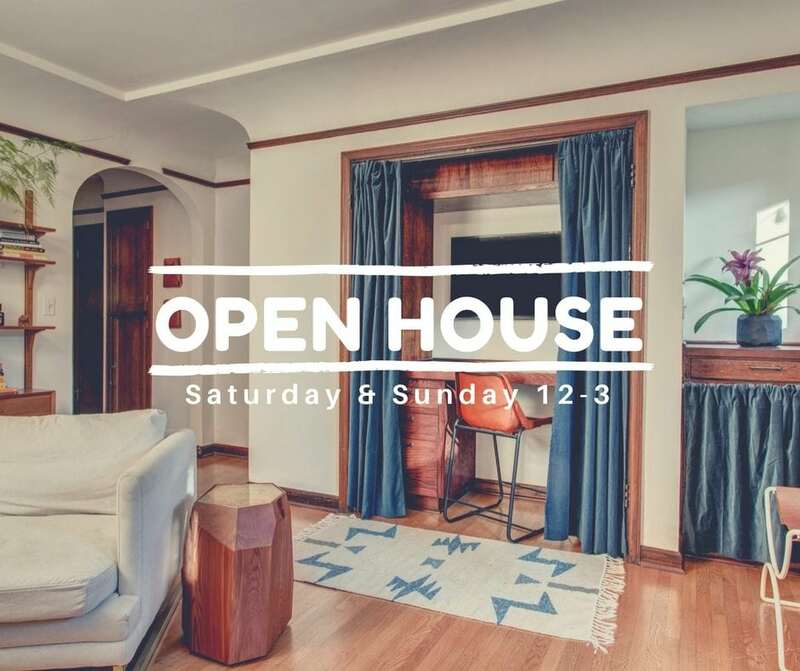 In a home like the Betsy Ross, you want to live in the charm but we have days where we just want to binge watch Stranger Things or catch up on that new Swedish mystery show. How do you get both? Easy. 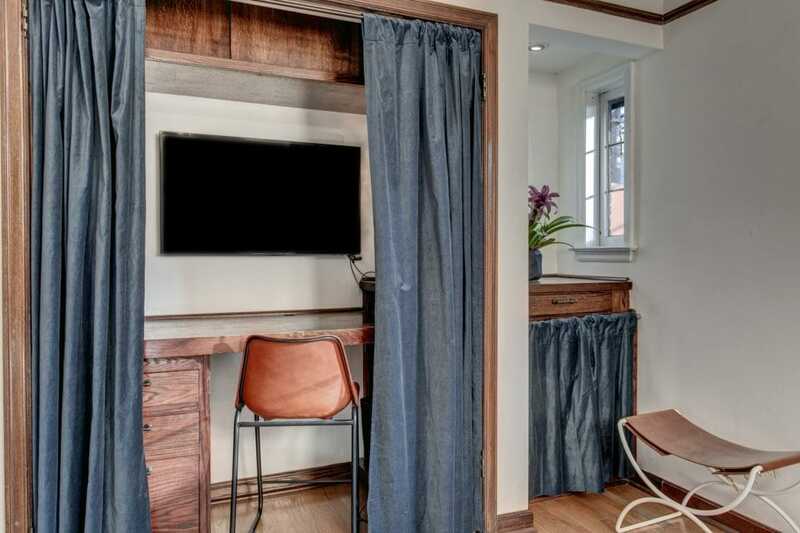 Have the perfect nook to tuck away the TV, your mail, your laptop, your Apple TV, tickets to your shows at the Neptune, whatever. No really. Everything about the living space is delightful. 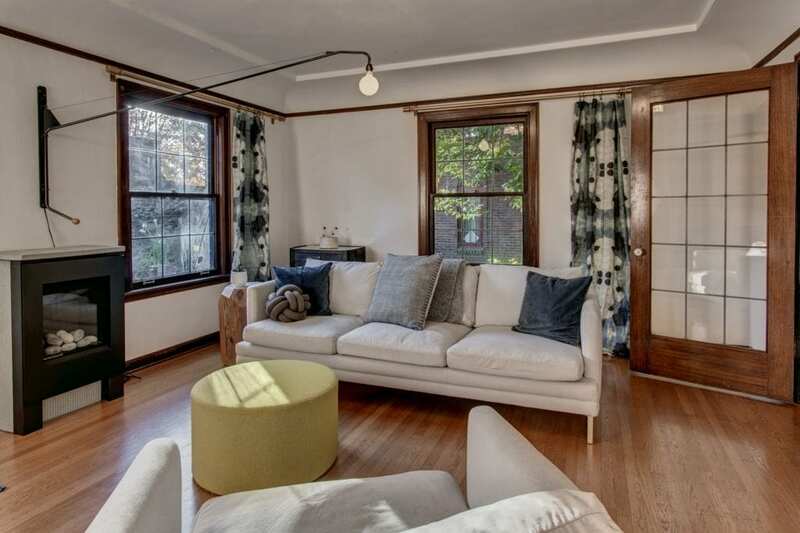 The corner windows, the original hardwood floors, the coved ceilings, the leaded glass windows, and doors. Oh, and did you notice the cute little fireplace? OK – it may not be original but it does make this vintage home toasty warm all winter long. It is a delight to find bathrooms that still have the original tiled floors and built-ins. At no point did someone come in and try to give this the cheap $3,000 IKEA renovation. If you are looking for a Northwest Spa bath – this ain’t it folks. 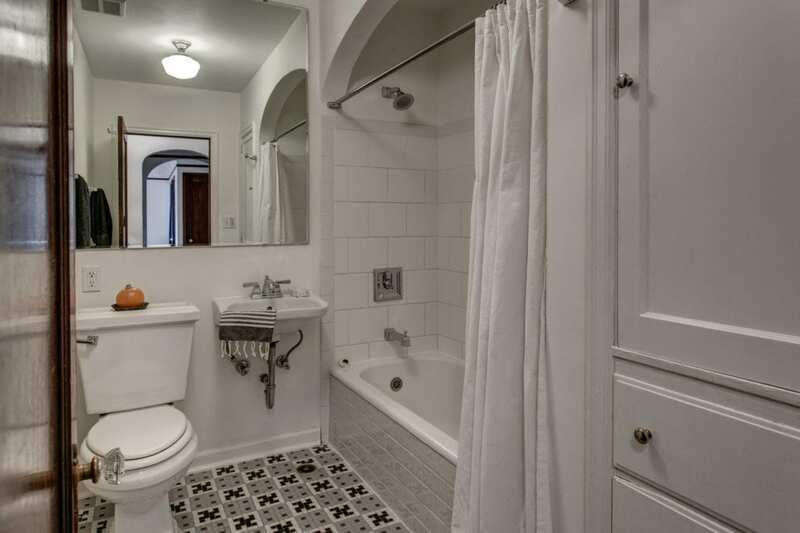 But if you love the period style and charm of this home then you will love this bathroom. Maintained and modernized in ways where you can tell someone has an eye for the details. Le sigh…. Wait – There’s a Garage?! 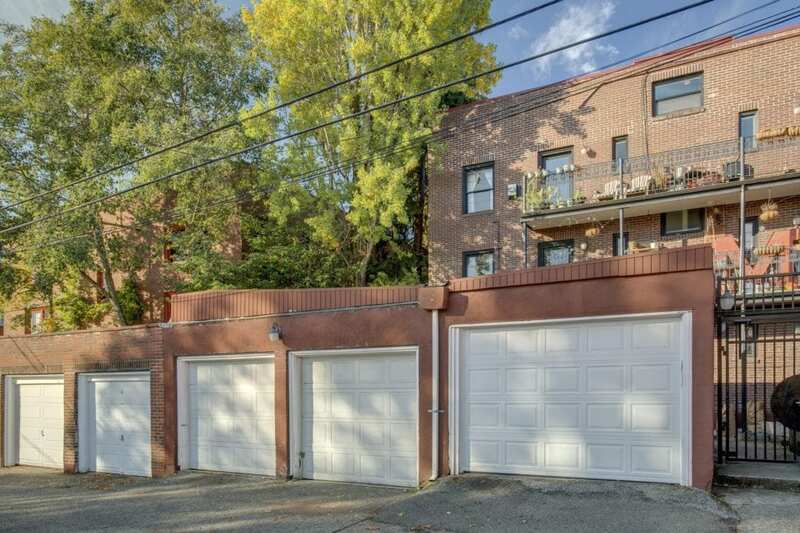 Finding a vintage condo in the city with off-street parking is practically impossible. Finding one with its own private garage – well that’s a miracle. In this home, you can have your city walkable urban life and then scoot to the mountains on the weekends. No more double parking to load and unload your luggage, groceries, the dogs. And no more worries about having to park 3 blocks away and getting soaking wet on those late rain-swept evening outings. How many times have you walked down 17th and wished you could live on this block? 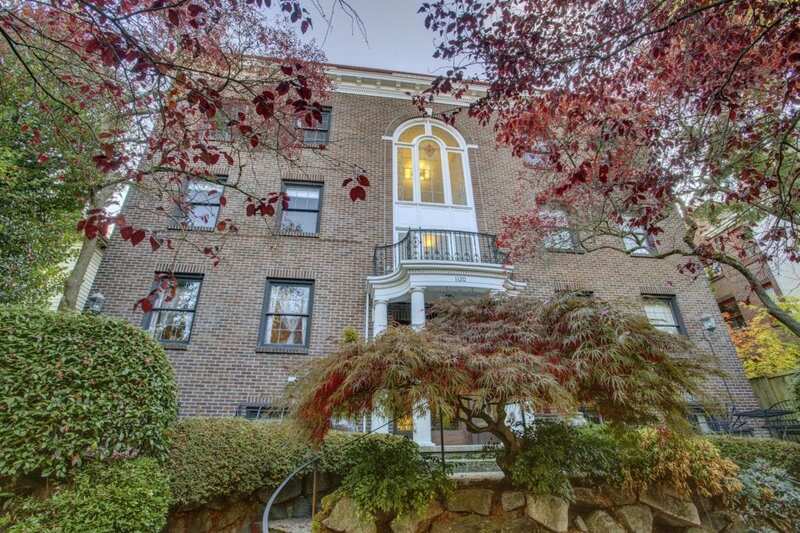 There is nothing like walking out of your home every day knowing you live on one of the most picturesque streets in Seattle in one of the most attractive buildings in Seattle. Own it. Enjoy it. That’s why you choose to live here. Although a picture paints a thousand words, why not experience this vintage home in person. 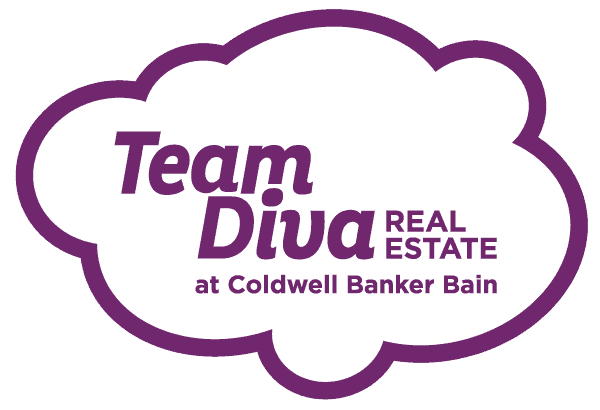 Join us this weekend for our Team Diva Open Houses. Explore the sites of this amazing neighborhood, stroll along this pretty tree-lined block, and then come tour our elegant new condo listing at the Betsy Ross.